Wow. Similar endings in both World Cup games yesterday, in that, the final results were determined by penalty kicks. I only got to see parts of both games, due to a special meeting of the Wildwood Lodge Club association members in the morning, and then our trip home in the afternoon, but what I saw was highly entertaining. 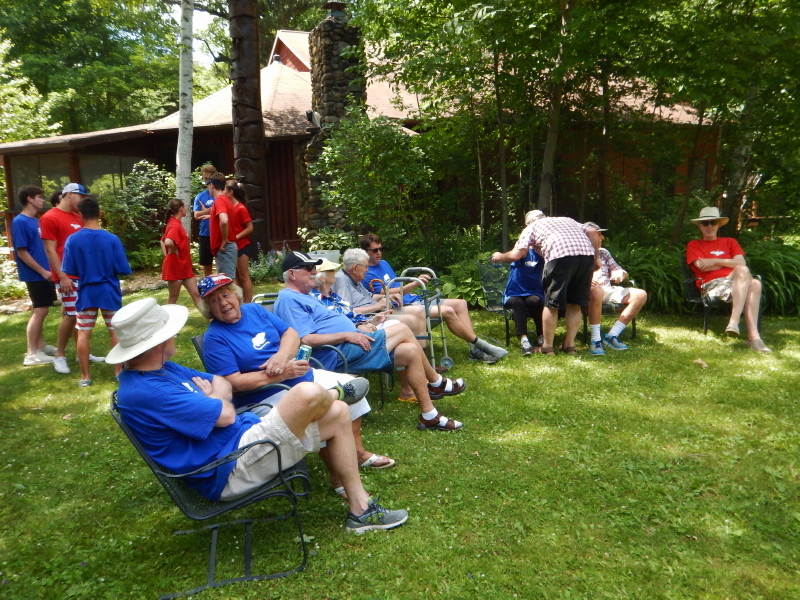 There is some work needing to be done to maintain the soundness of the aging lodge building up at the lake, which will require significant financial commitment. At the same time, after over 50-years of existence, the association is facing the aging out of the first generation. Financial burdens are beginning to fall on the multiple sibling families that make up the second generation members. 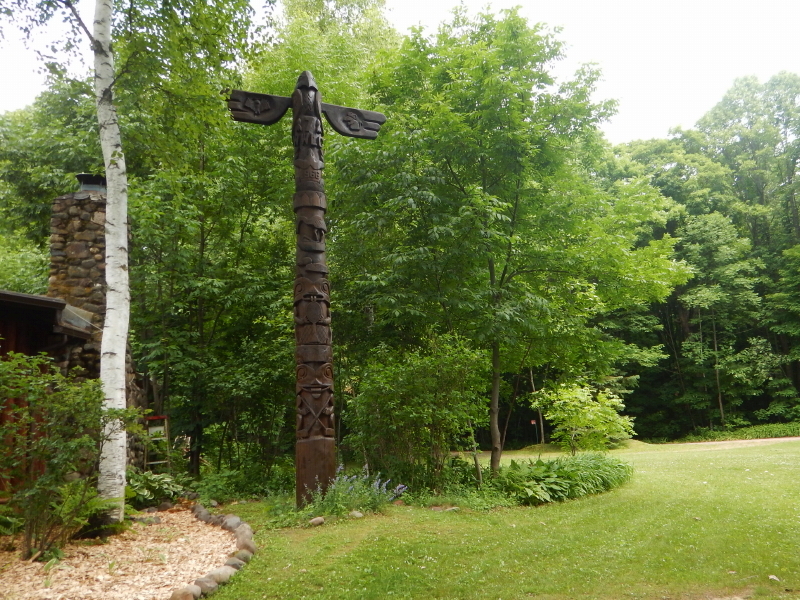 We are facing some big decisions as an intentional community, about what the six expanding families’ long term wishes and dreams are for the future of this communal vacation paradise. I walked portions of the property in the early morning on Saturday and captured the some of the quiet beauty. I’ve written about Wildwood before, but to summarize for newer readers, it is an association of now 6 families that share a central lodge building, play field, tennis court, gorgeous beach, and boats. When the old fishing resort was purchased by 11 families in the 1960s, it was a number of small, mostly primitive small shacks surrounding the main lodge. Moms and kids would spend most of the summer there, with dads coming from the Twin Cities for the weekends. 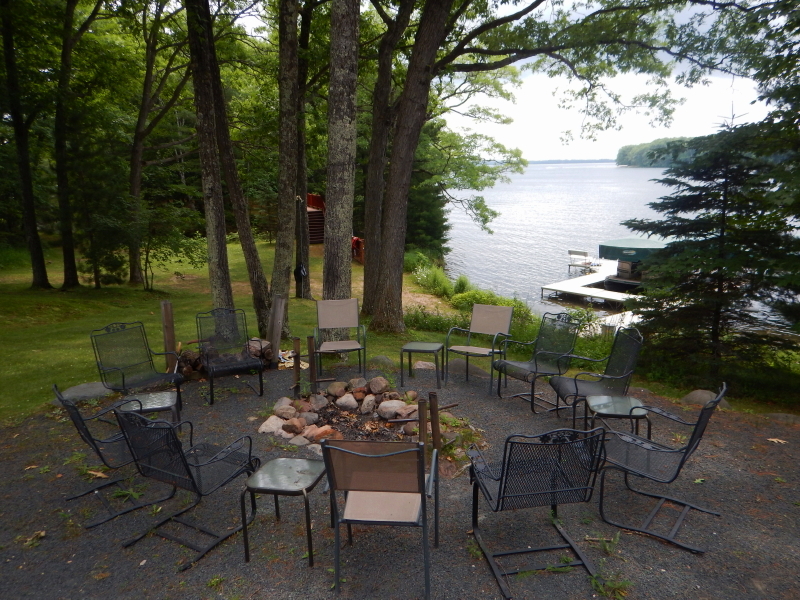 Families would rotate cabins throughout the summer and often dined communally around the main fire pit in the central “triangle” on their peninsula of Round Lake. In the 1980s, when the member numbers had dropped to seven families, the maturing clans elected to split the property into separate plots in order to allow for enhancements to the living accommodations, while also providing equity for the investment by individual families. Meanwhile, all the traditions and celebratory community activities from Memorial Day to Labor Day, and for a decade or so, New Year’s Eve, played out with emphatic zest. 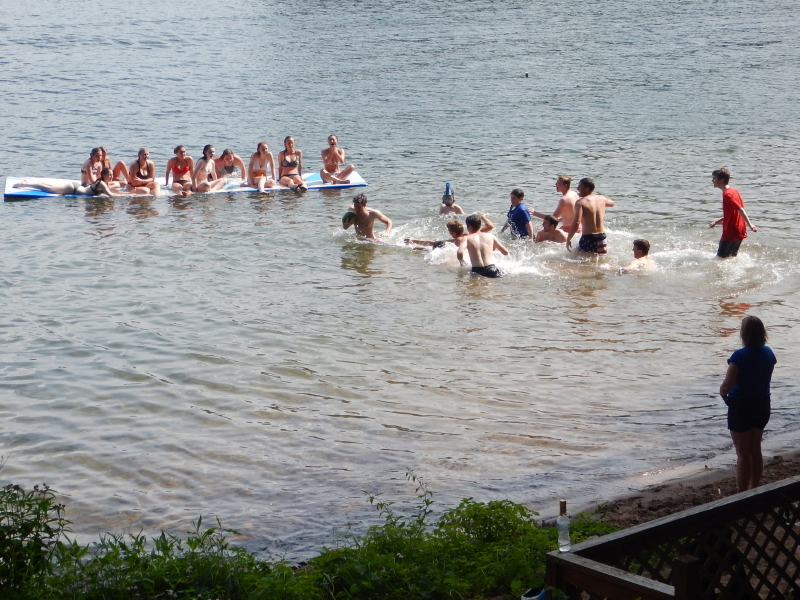 It was intentional community at its best. Kids and dogs, and all the good and bad that happens with outdoor space, a lake, and time, became the joys and concerns of all. With this precious group, there were always a lot more joys than there ever were concerns. 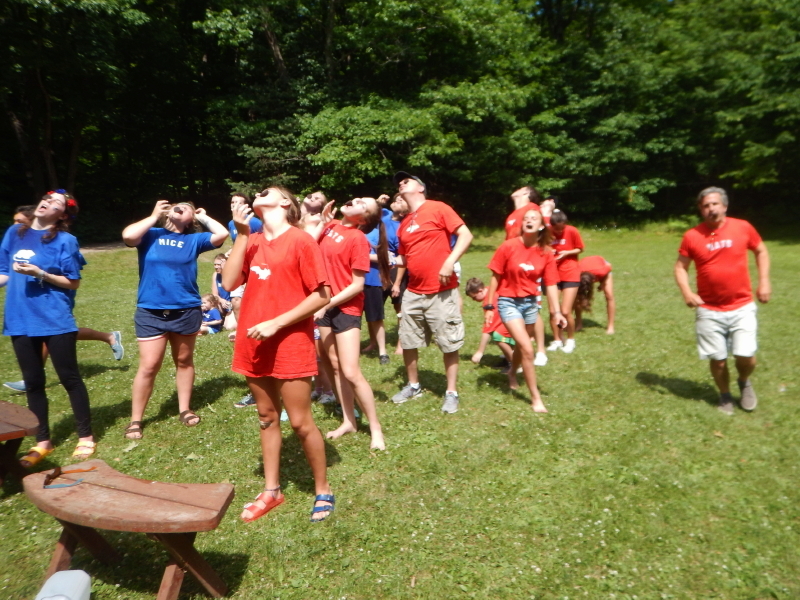 Saturday, in celebration of the mid-week 4th-of-July holiday this year, we broke out the red “bats” shirts and the blue “mice” shirts to split the community into two arbitrary teams for a mostly typical array of challenges for dominance. 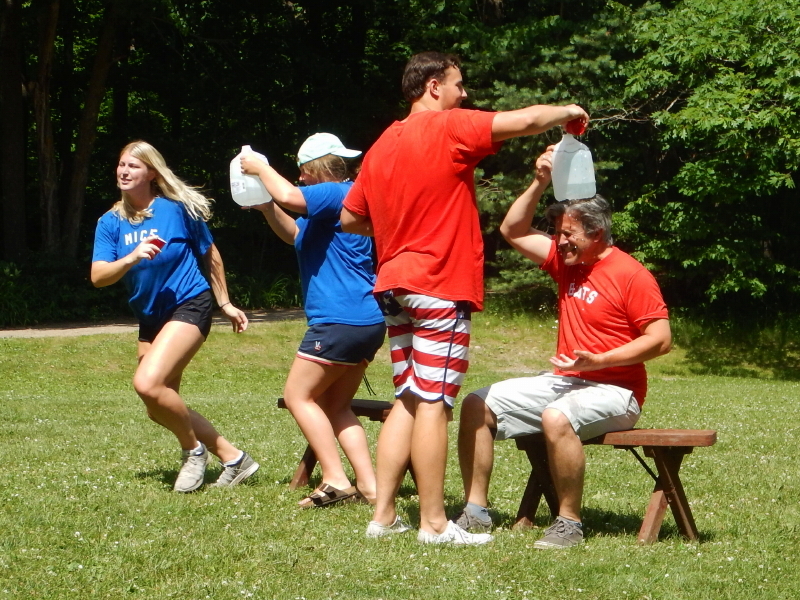 There was a relay race, water-balloon toss, three-legged sack race, shoe kick, watermelon eating contest, and finally, a water scrum to move a greased watermelon across the opponent’s line. 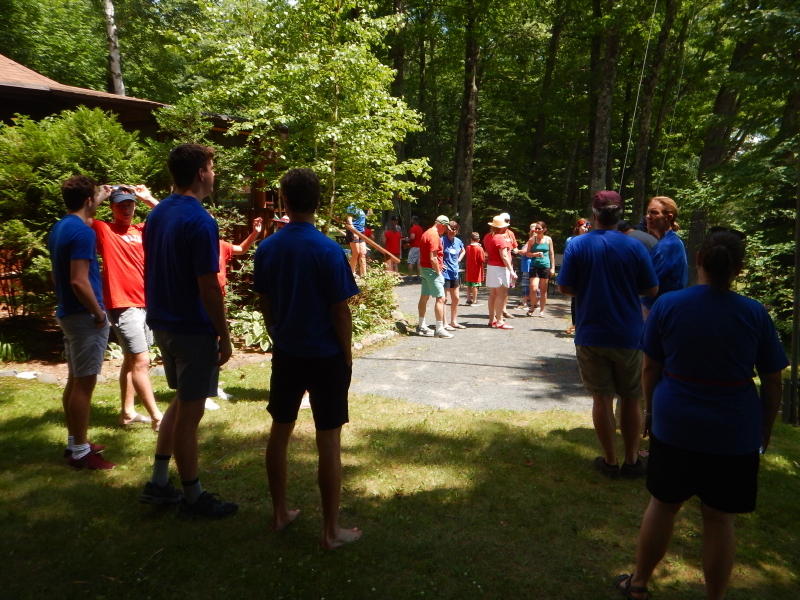 The day of games was topped off by a grand feast in the lodge for dinner, all prepared, served, and serviced by a combined effort of member families, kids included (to varying degrees of success). Now the community is needing to address what the next version of Wildwood Lodge Club might be? There are many variables involved, and few, if any, right or wrong decisions to be made. That presents us with a significant challenge. If Wildwood is to remain some version of its former self, it will involve a big commitment from all the members. In my mind, big commitments are what it takes for “intentional communities” to survive and to thrive. Hi, cuz! 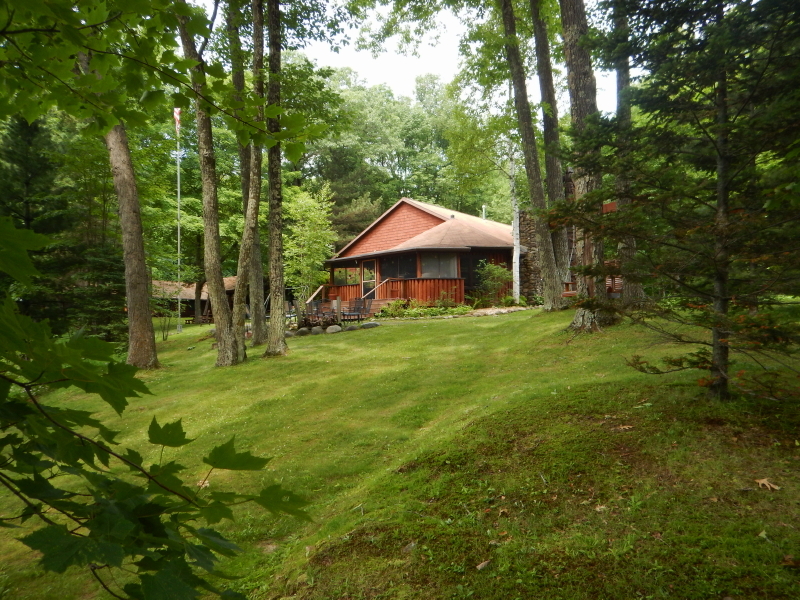 I just finished reading your post describing the Wildwood Lodge – fascinating! Is this where your farm is, or is this just a summer community? Or some combination? I’m gradually catching up on this very interesting intentional life you and Cyndie are living and am impressed as heck! So seeing what you’re doing is quite inspiring! Your property sounds wonderful. I feel a kindred connection. 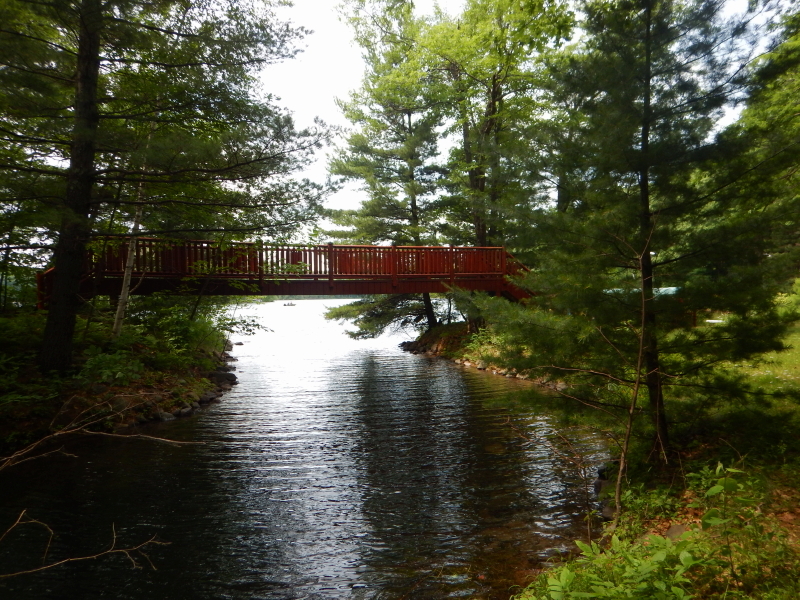 Central NY is a must-add to my travel dreams, hoping that one day we could come visit you and Larry. Wishing you smooth success on the yurt!! You have written this so beautifully and captured what I have been so fortunate to have been spending so much of my life for the past 52 years at this wonderful setting both in the winter and summer. Just seeing the pictures makes me realize what a peaceful and lovely place we have been enjoying and so thankful for it. We are infinitely grateful for the insight and energies you and Fred have contributed to Wildwood all these years. It’s a hard act to follow, but here’s hoping your children (and in-laws) and grandchildren will be able to make similarly great contributions toward intentional communities, in reflection of all you have modeled for us throughout all of our lives. Great photos! I love that place and all those extended family members immensely! Indeed, a priceless investment in so many ways. Thank you so much for the added affirmations! You express the first-person truth! We need many many more of these kind of places and the people willing to support them. Such environments are a priceless asset for raising families! Our kids have countless extended “aunts, uncles, and cousins”!